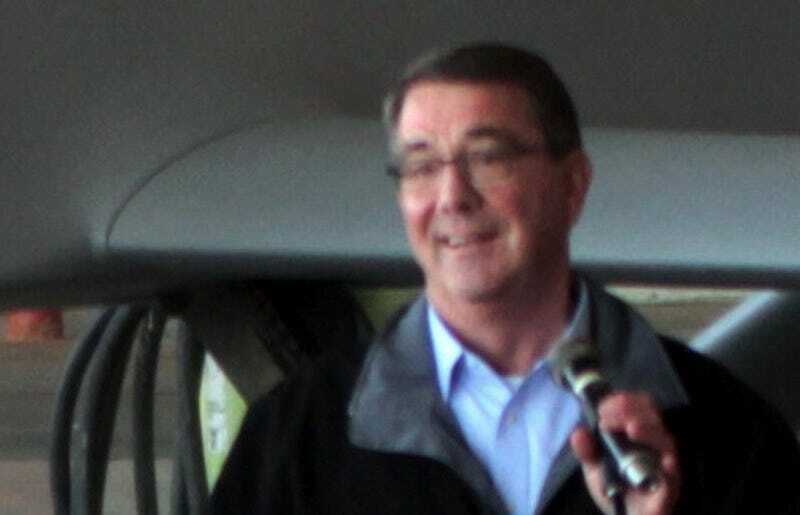 It looks like Defense Secretary Ash Carter is a comedian bombing on open mic night in this photo from Adana, Turkey yesterday. Get it? I said, it looks like Carter is bombing. Do you get it? Maybe you didn’t get it. I said, it looks like Carter is bombing in Turkey. Wait, I don’t think you guys get it. I said, it looks like Ash Carter is bombing. Do you get it? It looks like the Defense Secretary of the United States is bombing. You get it. You guys get it.